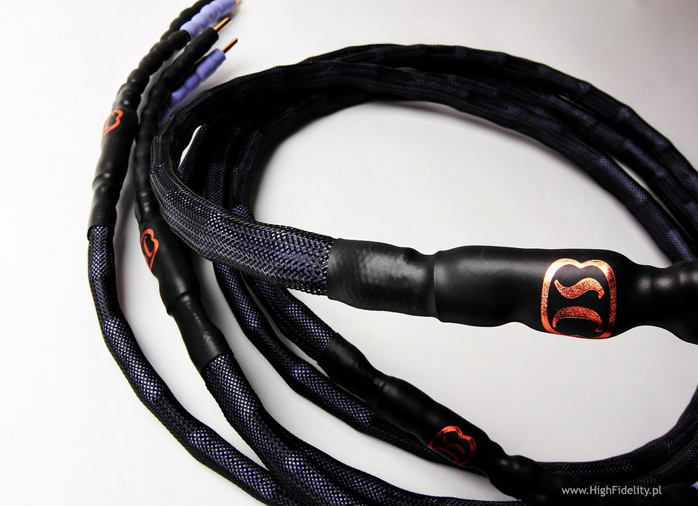 In the introduction about his cables, the owner of the Skogrand Cables SC company, Mr. Knut P. Skogrand writes: "We use the absolutely purest single-core crystal (SCC) and ultra-pure Ohno Continuous Cast (UP-OCC) copper." And then: "Our cable build is one of a kind. We have developed unique frame works for our solid-core speaker cable leads that lets them float almost completely in air. Hence the SC Air name. 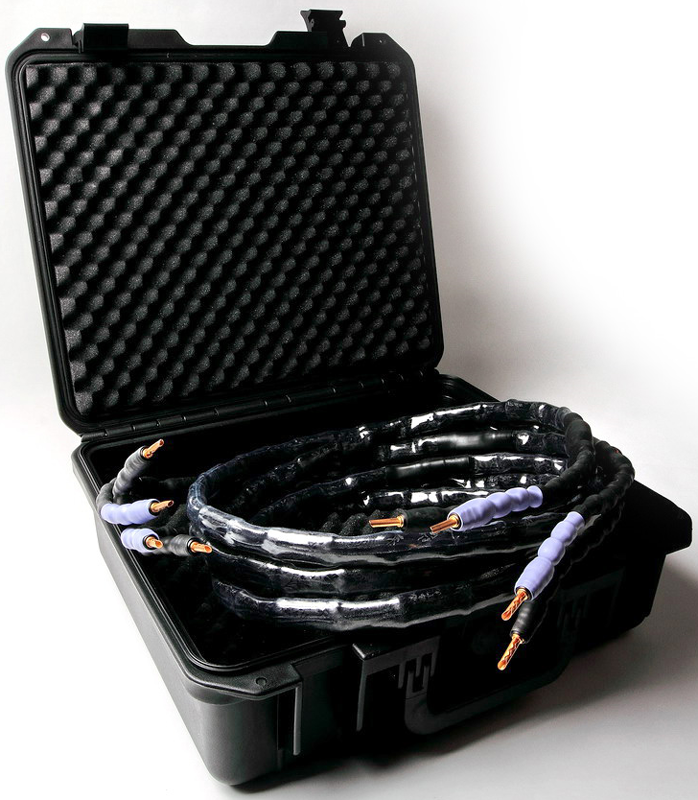 The leads physically connect with the frame work materials—respectively virgin Teflon and 100% pure silk (Centaurus A and Markarian 421)—for less than one percent throughout the cable length." Strong words and a lot of self confidence. However Knut seems to know what he is talking about. This is backed up by very good reviews and satisfied client testimony. I received three cables for review which only left out the cheapest Air Intro. This meant SC Air, SC Air Centaurus A and the top SC Air Markarian 421. I asked for this set to learn how the sound might change when moving up this cable ladder in discrete steps. These cables use quite similar construction and are based on exactly the same conductor – ultra pure copper made in the UP-OCC slow copper casting process which sets the uniquely elongated crystalline structure of the metal to avoid the myriad molecular junctions of standard small-crystal copper. 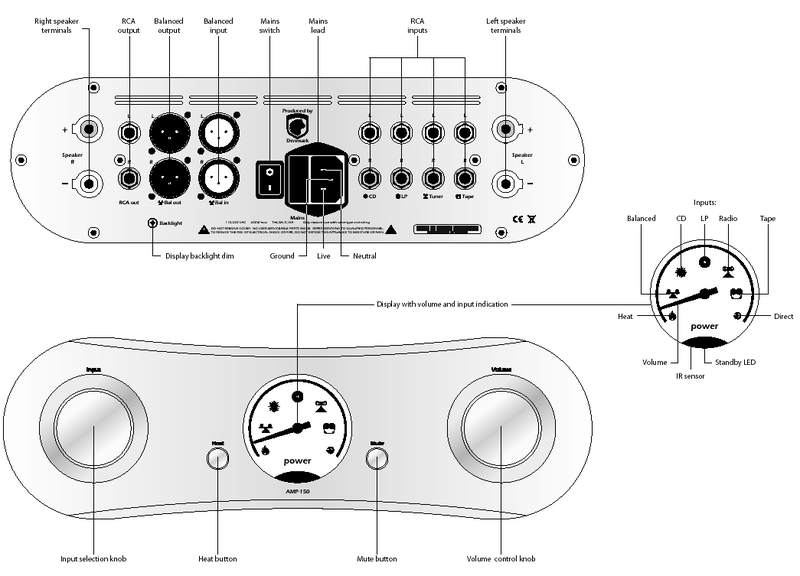 Naturally the three cable models differ in certain details. 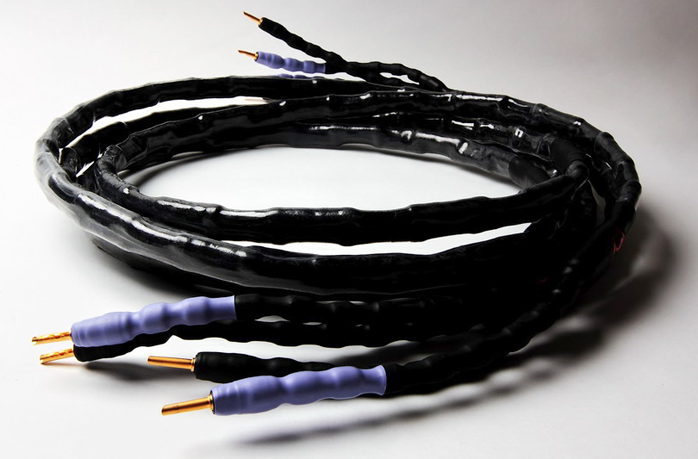 Both hot and return runs of the cheaper cable are twisted together whilst in the more expensive models the runs are separated in their own tubes connected with a common external sleeve. Along the entire length of the cables sit discrete balsa wood elements which operate as spacers and dampers. The ends are sleeved with heat shrink tubing, albeit not the ordinary kind but made of polyolefin (a kind of polymer) which is highly valued also by Acrolink for example. The short banana plugs are gold plated and low mass. 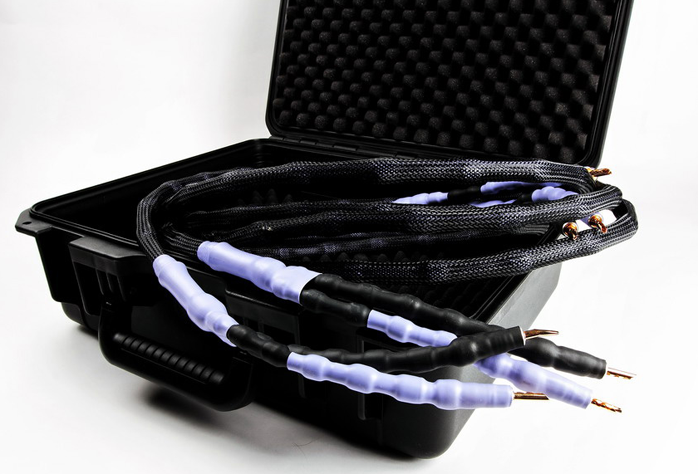 The two cheaper cables are covered with a PTE mesh while the top model sits inside a special semi-transparent tube containing silk. The company calls that Pure Silk Brocade Cable Sleeve. The website describes the mechanical and electrical properties of balsa wood and pure Teflon (virgin PTFE) extensively. 99% of those descriptions went over my head as I’m no chemist or physicist but perhaps they’ll be instructive for you. It is worth mentioning that the cables arrive in hermetically sealed quality plastic cases. This is how every high-end product should be packaged and sold.